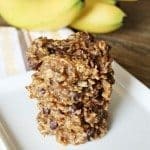 Banana Breakfast Cookies are the perfect way to get anyone to eat a nutritious breakfast right from the start. With it’s subtle hint of peanut butter and the perfect amount of sweetness with it’s chocolate chips, they’re a breakfast that everyone wants to grab. 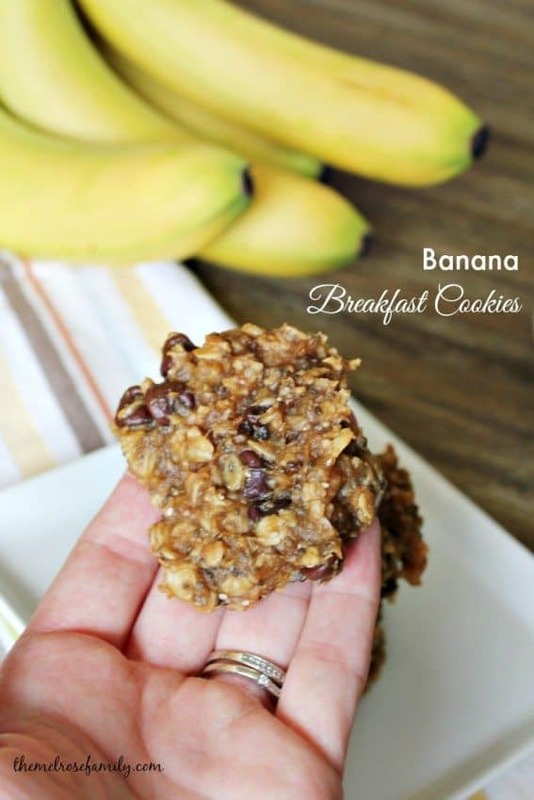 Before I give you the recipe for these banana breakfast cookies, I have a confession to make. 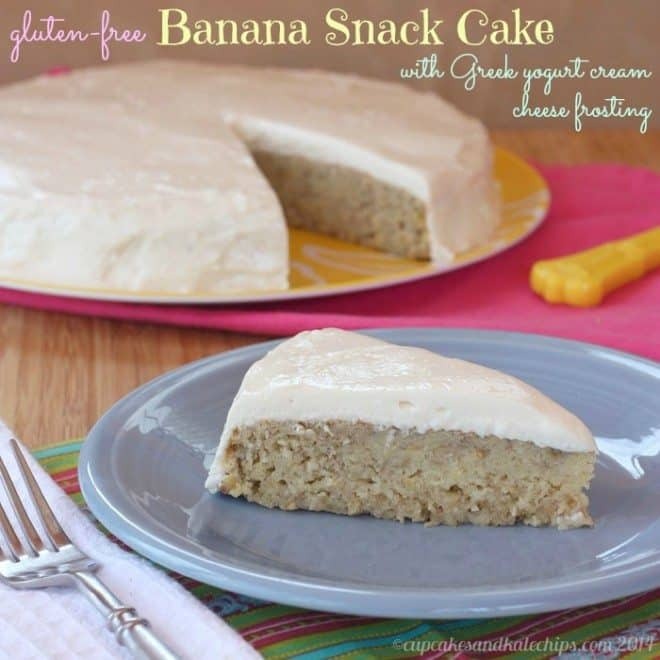 For the longest time, I couldn’t stand bananas and I’m not just talking about the taste. The smell of them made me gag. I can remember doing my student teaching in my early 20’s and a first grader asked me to peel their banana. I had to walk away. I just couldn’t stomach it. Even when my girls first starting eating solid foods, I hated giving them bananas because they just grossed me out. Now at 35, I’ve finally come to like bananas and I would honestly eat one of these cookies every morning if they’d last that long. 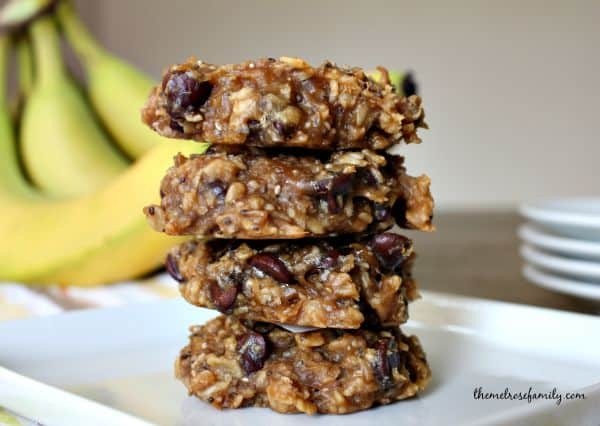 The reason I love these banana breakfast cookies so much is that I know I’m eating something healthy. My five year old went to gymnastics the other day and told her instructors how I was eating cookies for breakfast. He proceeded to tell her that cookies were not a very healthy choice and she adamantly listed off the ingredients to which he had nothing to say. These cookies are just so much more than a cookie with peanut butter, maple agave and chia seeds there’s just so many great flavors all in one. 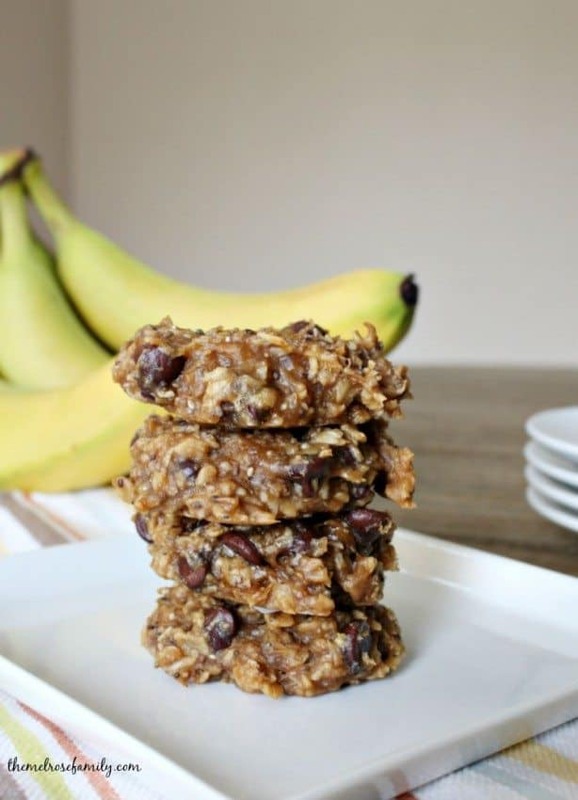 Healthy, yet delicious Peanut Butter, Chocolate Chip & Banana Breakfast Cookies are the perfect way to start your morning off right. 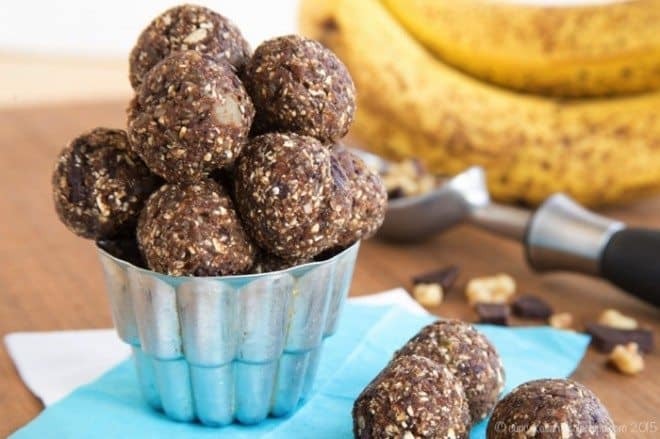 Preheat the oven 350 F. Mash the bananas and mix in the rolled oats, peanut butter, maple agave and chia seeds. Line a baking sheet with parchment paper and drop half dollar size dough onto the sheet. Bake for 15 minutes. 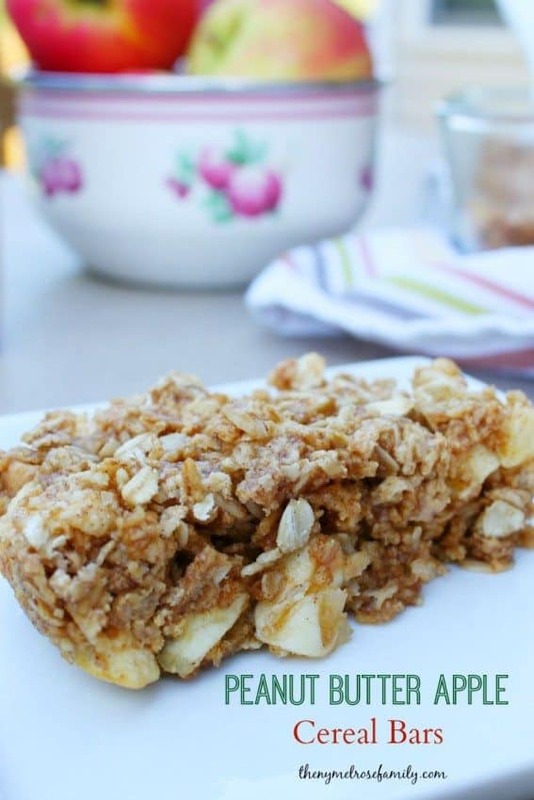 adorei receita barra de cereal de banana.